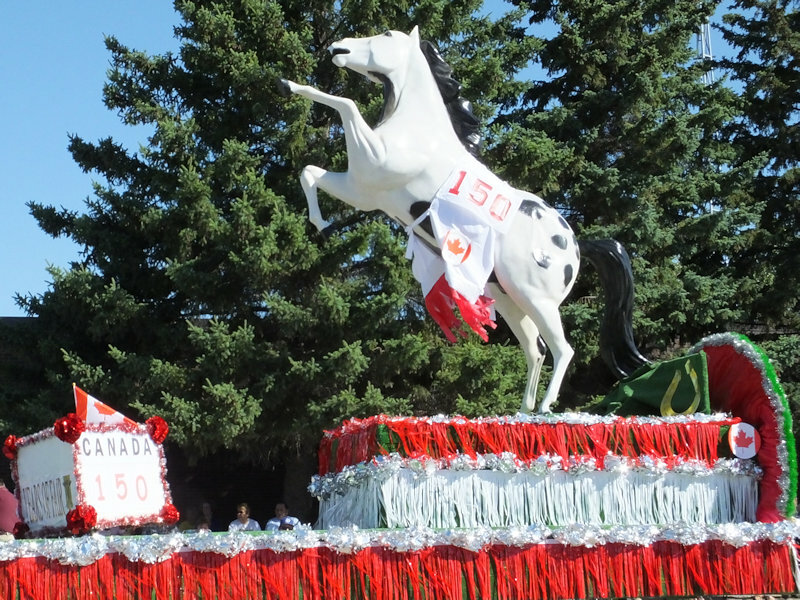 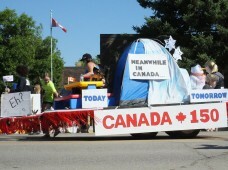 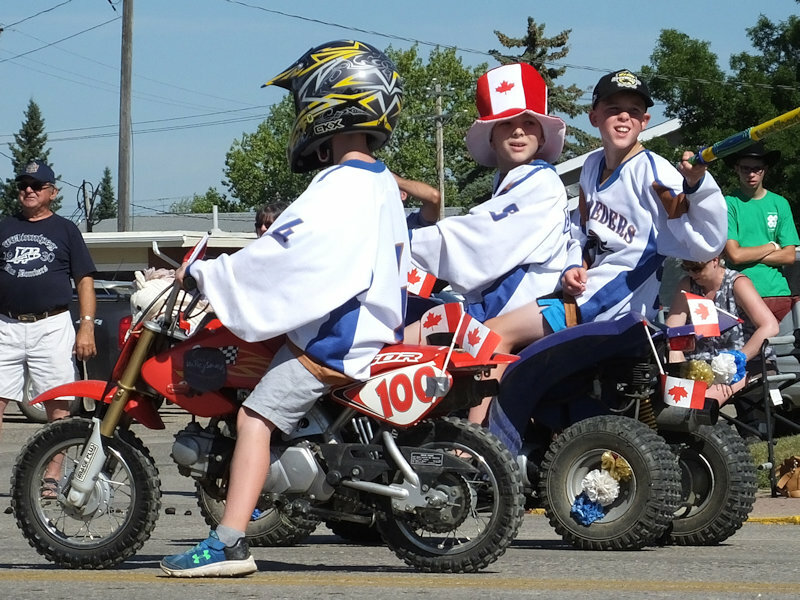 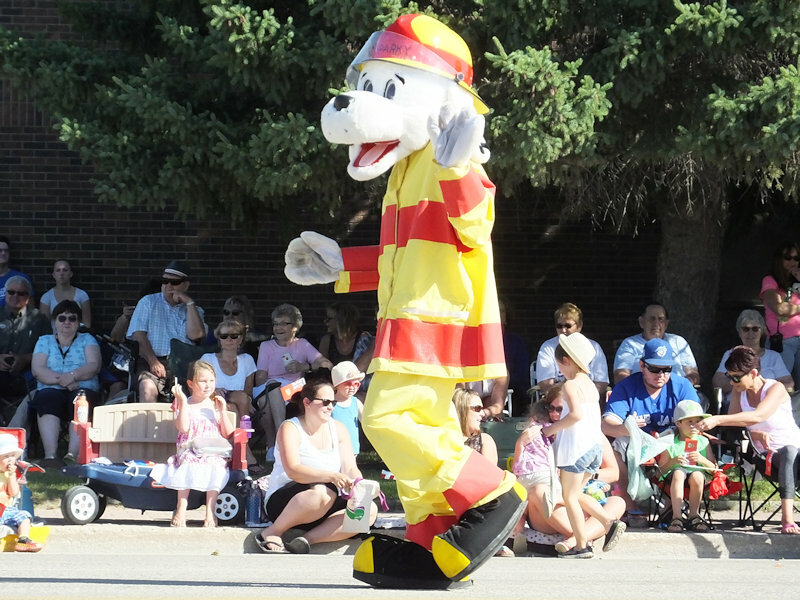 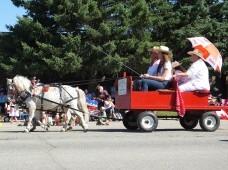 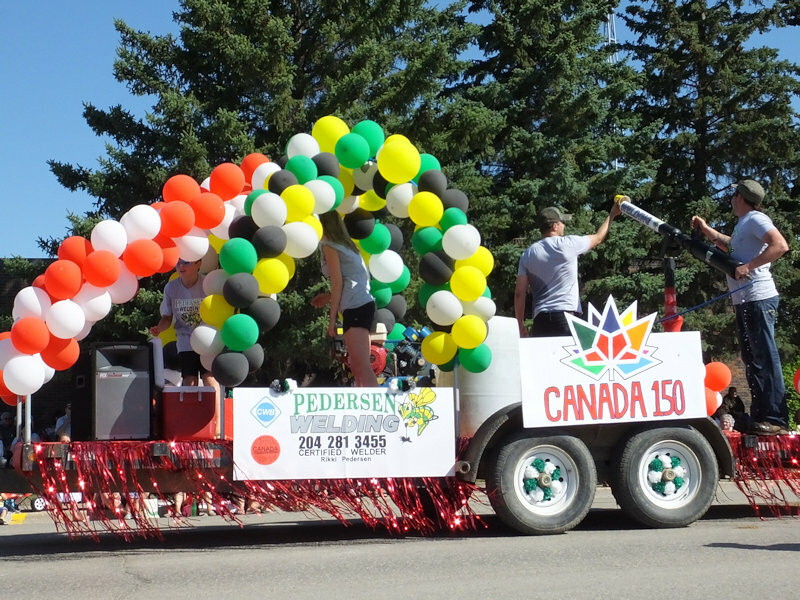 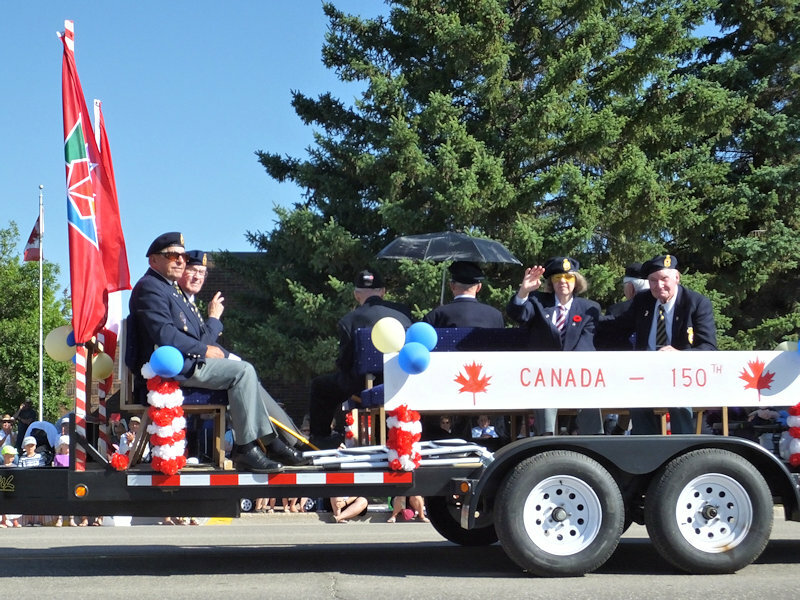 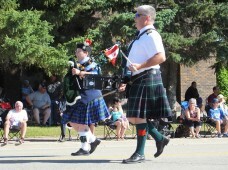 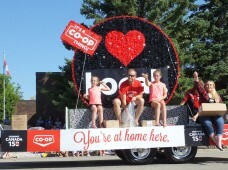 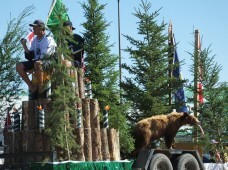 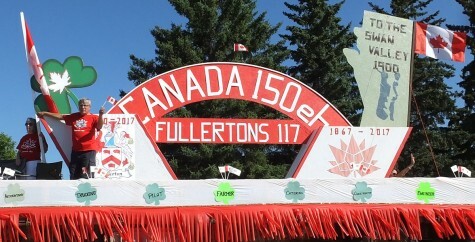 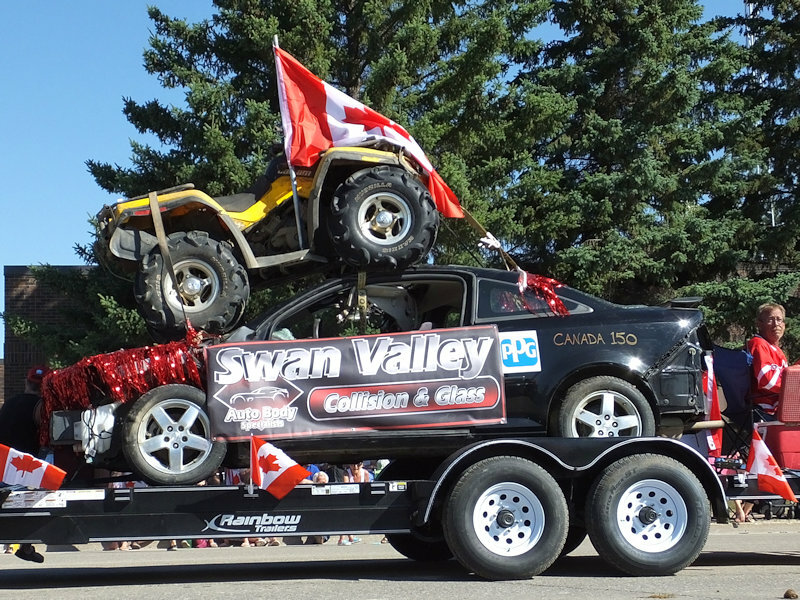 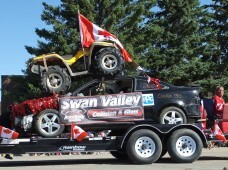 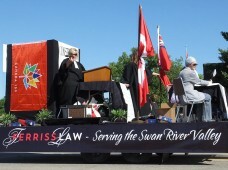 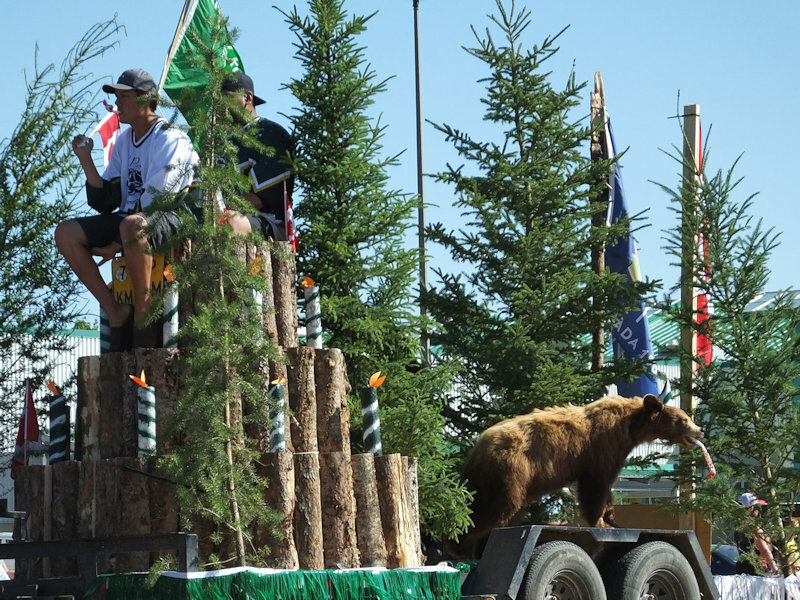 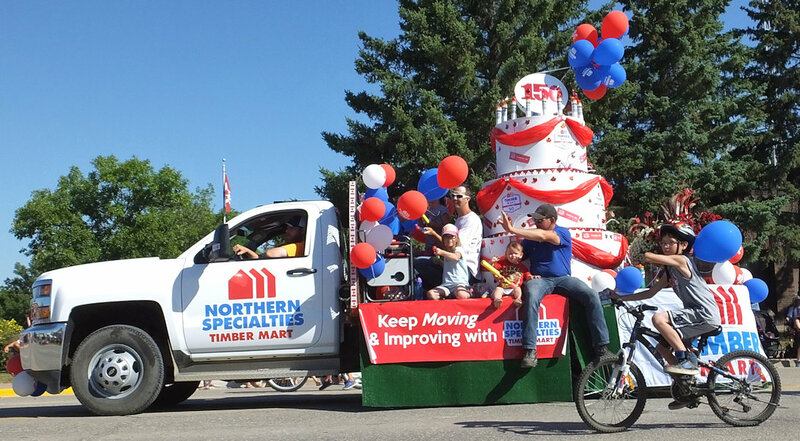 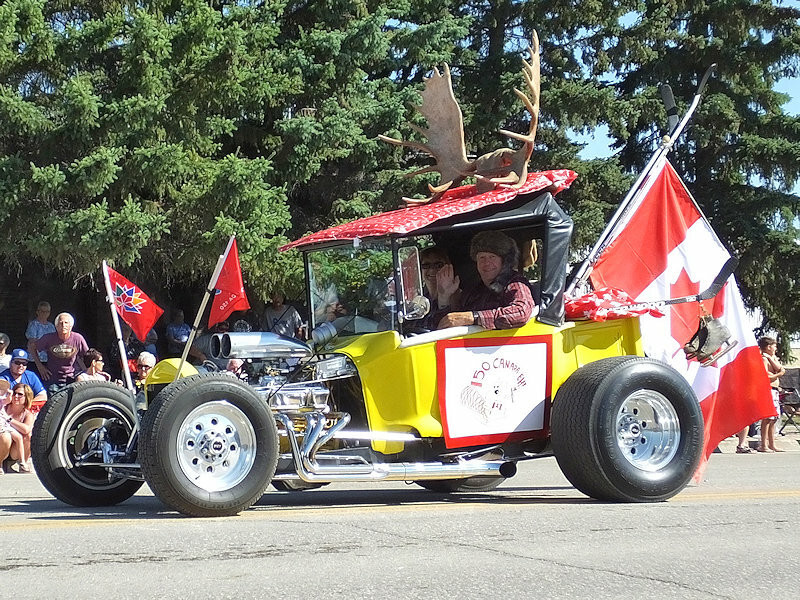 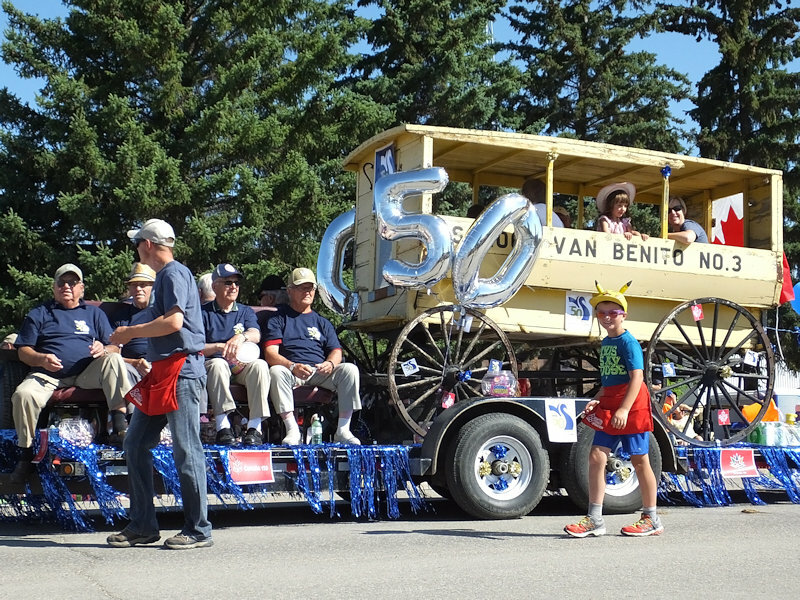 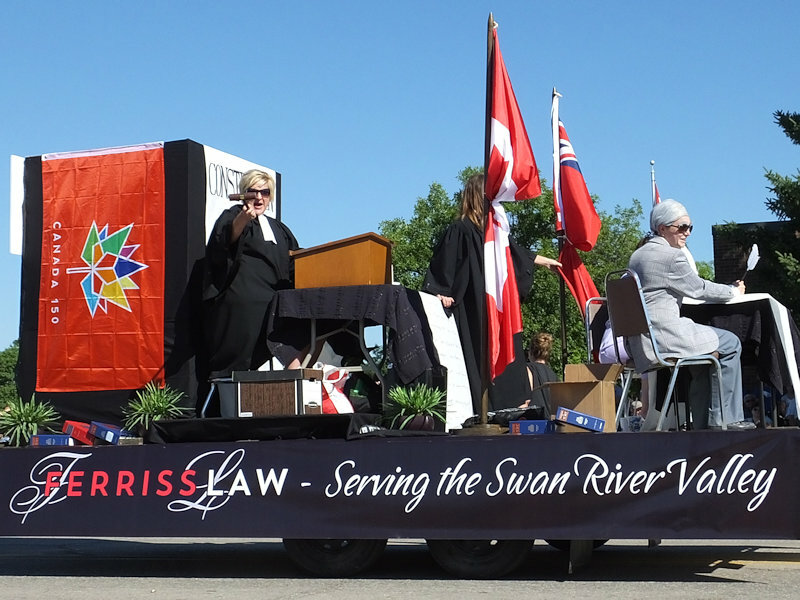 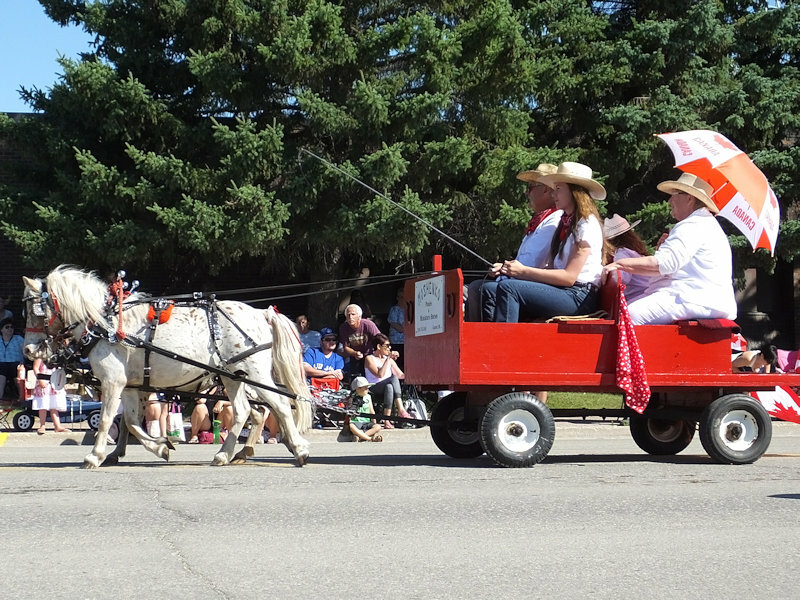 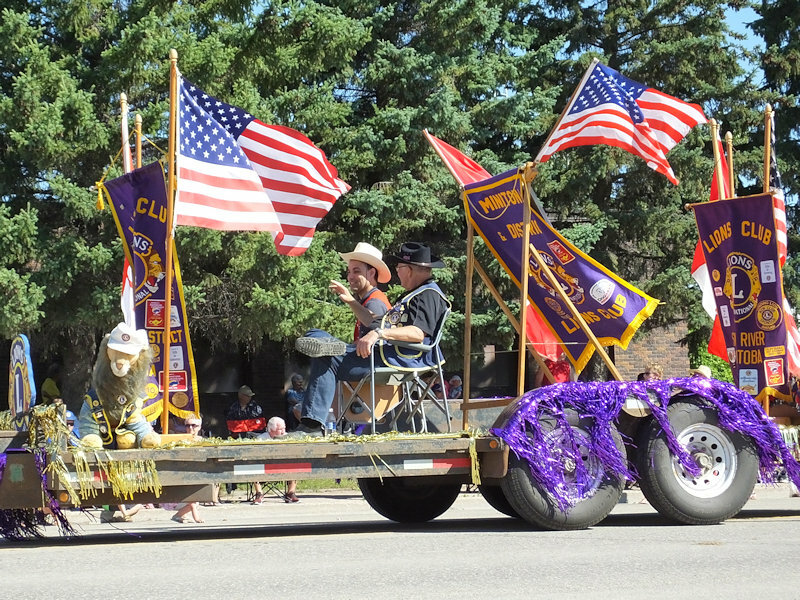 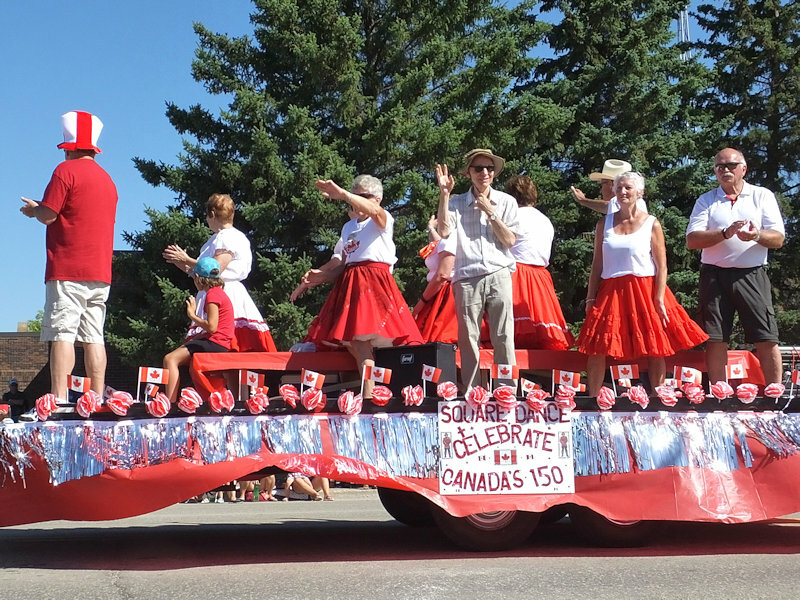 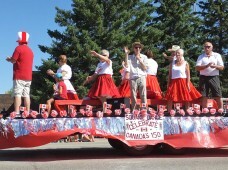 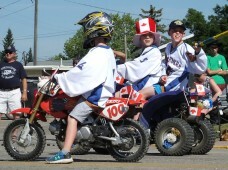 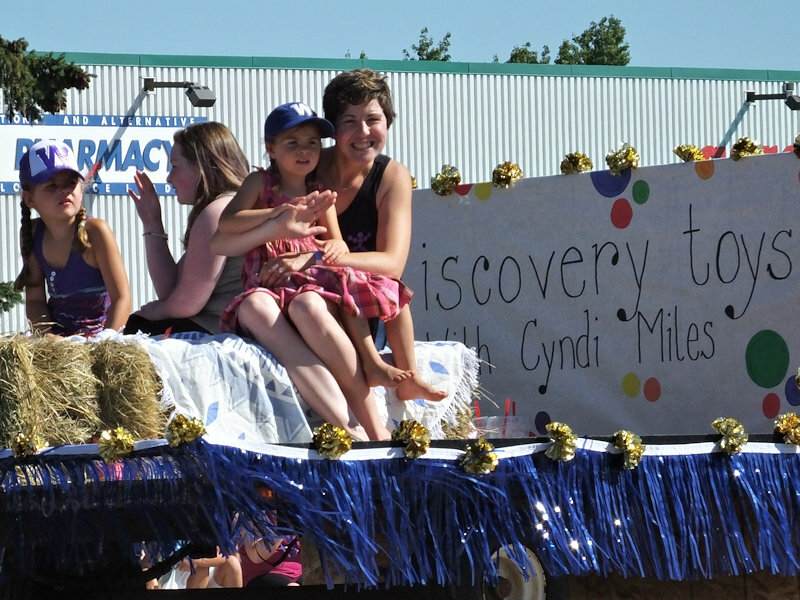 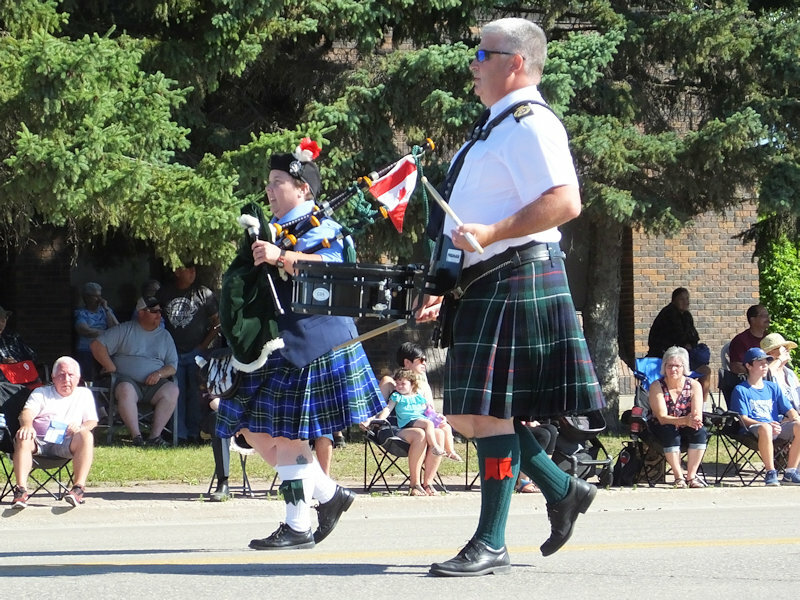 The theme of this year’s Chamber of Commerce Parade at the Northwest Roundup was Celebrate Canada 150. 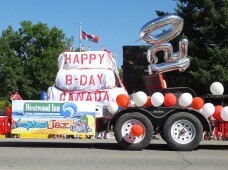 Floats and participants were all decked out in Red and White and all things Canadian Eh! 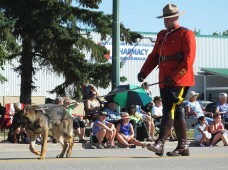 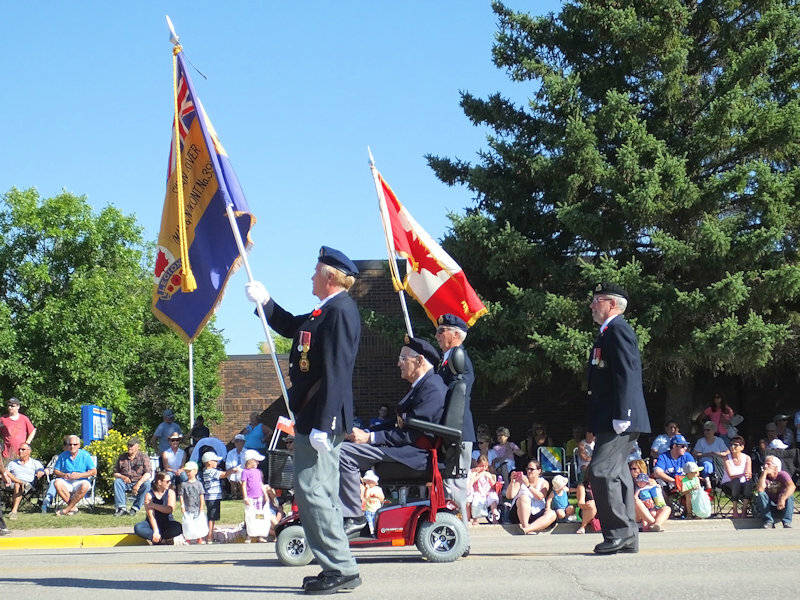 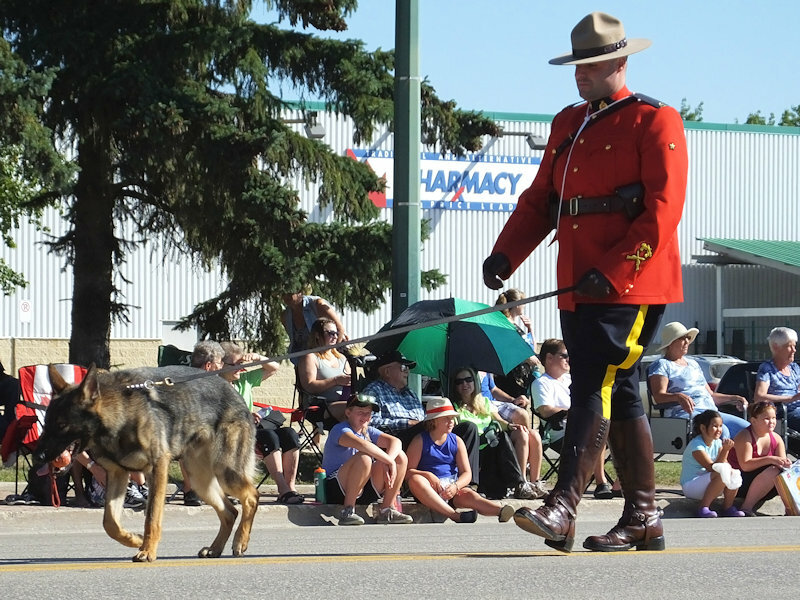 The RCMP and Veterans led the parade. 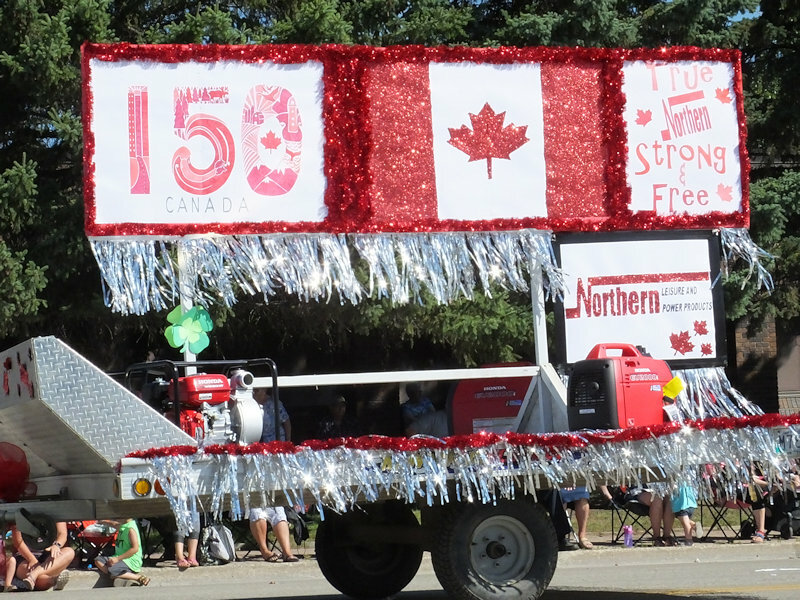 Participants showed off their True Patriot Love for the True North! 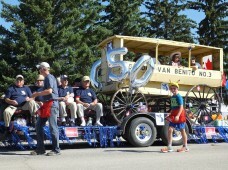 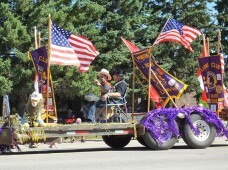 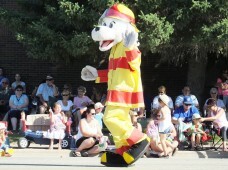 In addition to businesses, many clubs and organizations also participated. 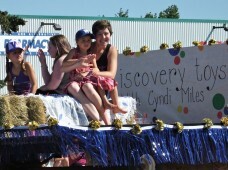 As always, there was lot of candy disbursed from the floats which kept kids of all ages running.